The wealth of three South African billionaires is equal to that of the bottom half of the country’s population, said Oxfam SA in a report released on Monday. The report, entitled ‘An economy for the 99%’, coincides with the upcoming 47th World Economic Forum (WEF) annual meeting in Davos. Oxfam South Africa research and policy lead Ronald Wesso confirmed to Fin24 by phone that the top three billionaires were retail tycoon Christo Wiese, Glencore CEO Ivan Glasenberg and Aspen Pharmacare chief executive Stephen Saad. This information is based on data made available by the JSE in December 2016, and is based on share holdings, according to Wesso. Wesso added that this data does not take into account private holdings. “No data set is perfect, but this is the best data possible,” Wesso told Fin24 by phone. According to Oxfam’s report, the world’s richest eight men own the same wealth as the poorest half of the world. Using data from the Credit Suisse Global Wealth Report 2016, Oxfam said that this inequality is more pronounced in South Africa as the richest 1% of the country’s population have 42%, or $272bn (R3.7tr), of the total wealth of $650bn. The wealth of the richest 10% also accounted for 31% of total wealth, or $202bn (R2.8tr), according to Oxfam. The remaining 90% of the population only account for $175.5bn (R2.4tr) of the country’s wealth. “Such inequality is the sign of a broken economy, from global to local, and lack of will from government to change the status quo,” said Oxfam SA Executive Director Sipho Mthathi. “Governments including the South African government, can act to help everyone not just those at the top. They can build an economy where businesses pay their taxes and contribute to the wider good; where everyone is able to be healthy and educated, and where poverty wages are a thing of the past,” Mthathi added. “It is obscene for so much wealth to be held in the hands of so few when 1 in 10 people survive on less than $2 a day,” said Winnie Byanyima, Executive Director of Oxfam International. Inequality has been cited as a significant factor in the record number of violent public protests in South Africa between 2013 and 2016, stated the organisation. The recent State of the Capture Report revealed how private rich individuals influenced public policy and the allocation of public resources, Oxfam said. Extreme inequality creates a society where wealthy elites can have undue power and influence in society and in public affairs and is bad for democracy. 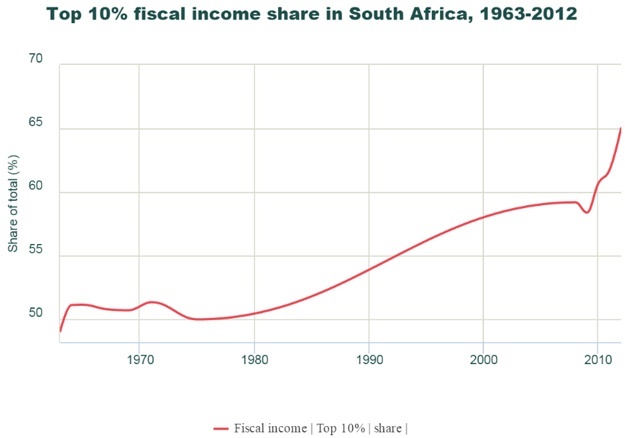 Other research has also pointed to high income inequality in South Africa. 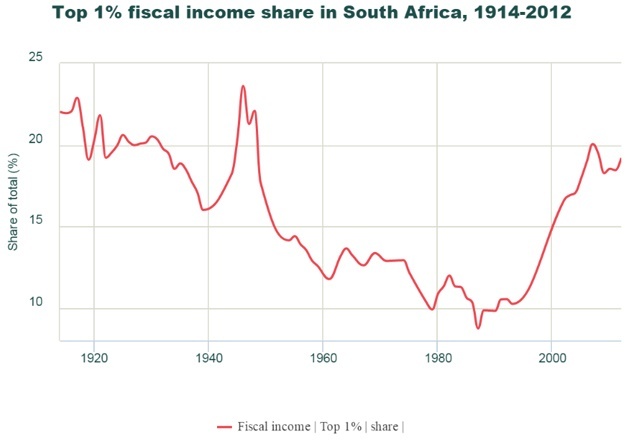 According to the Wealth and World Income database, put together by economists Thomas Piketty and Emmanuel Saez, the top 1% in South Africa had a fiscal income share of 19.2% of the economy in 2012. 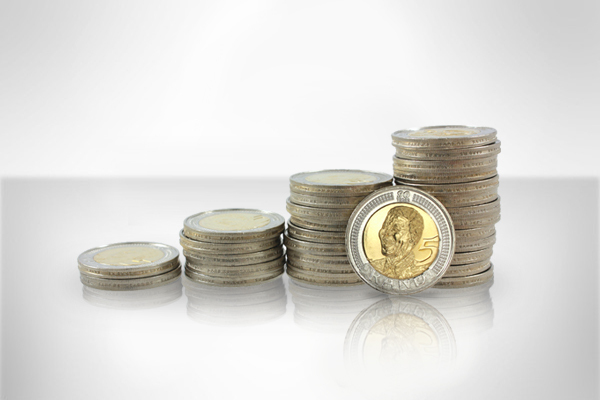 In 2012, South Africa’s richest 10% accounted for 65.1% of total wealth, as per the Wealth and World Income database.